MSM is a nutritional supplement that has much potential for the future of medicine. This material is actually a very bioavailable form of sulfur, something that many people living today are deficient in. A lot of you have claimed that supplementing with medium-high doses of MSM for a short period can actually ELIMINATE allergy symptoms of ALL kinds and even increase physical and spiritual awareness. You can use this MSM pineal gland detox and allergy cure method to improve your mental and physical health in a plethora of ways. Before you call me a BS scammer, read on. When we say that we need a mineral like magnesium or sulfur in our diets, we don’t actually mean the rock element form of it, but a compound that matches the chemistry of our bodies so that it can be used in a variety of cellular processes. For instance, magnesium cannot be absorbed as plain magnesium rock, but needs to be in the form of magnesium sulfate to be absorbed. You can use this basic knowledge of the chemistry of nutrition to determine if nutritional supplements actually do something. If the ingredients list does not clearly label a food source or isolated ingredient that matches human body chemistry, it is very likely just a simple placebo that hasn’t been proven effective and it’s just a glorified scam. If you take vitamin D2, or similar useless “nutrients” you are just being scammed legally. However, some supplements like MSM are already the bioavailable form of a nutrient we need. It has been proven to have a variety of health benefits in multiple trials. MSM supplements are not a scam and I can say that from personal experience. The mineral sulfur has been proven to be able to improve the immune system and heal inflammation at it’s source, which can treat the root of almost all diseases. Sulfur is the third most abundant mineral in our body, and what’s scary about this fact is that most people on this planet right now are deficient in it. This is critical health information because sulfur is relied on in many ways for proper function of our bodies. What I think is so aggravating about this is that health media does not bring attention to it whatsoever. Of course, though, you will hear about how you need to eat your gluten-free foods or buy kale all of a sudden, but not about how our children’s health will deteriorate in the future due to our agricultural practices. MSM comes in three forms: capsules, powder, and crystals. Many health experts will argue that the pill form is not available to the body due to the processing it goes through. I agree with this because I have taken high doses of MSM pills and capsules and I have felt no different. However, I have noticed significant health improvements with MSM crystals. However, food sources may not be enough to get adequate sulfur in your diet due to many reasons. Why is Sulfur Deficiency on the Rise? The answer is simple: the technology that we are using to help plant and harvest crops is destroying the quality of our soil. When the land was first colonized, the soil was rich and natural. Since plants are like humans, they were much healthier themselves and for animals to consume. But farmers are not focused on the nutrient quality of their crops because they will all look the same to consumers. Sulfur is not a color that we can see on a vegetable, so we can only gauge how much a vegetable will have from its practices. Usually, organic farming has much more nutritional crops, but this is not always the case. Farmers now focus on quantity of crops over the quality of crops. This is because they know that consumers are more ignorant when it comes to food and will easily disregard harmful farming practices that damage our environment. This is so environmentally dangerous because this process cannot be reversed. What we can see as a result of this overuse of chemicals is barren soil that lacks nutrients. Plants can still grow and survive, but their immunity will be poor and they will not survive long. And remember: we are what we eat. The health benefits of MSM can be directly correlated with the health benefits of sulfur, because they are the same thing. First of all, MSM is extremely important for your body’s natural production of glutathione. This compound is probably the most important antioxidant in your body. It functions by getting rid of waste in your cells and can easily detox heavy metals, which practically no other substance can do for you. The most powerful and healthy antioxidants are not ones that you can eat, but the ones that your body naturally produces. That is why MSM is so useful as a supplement. Not only is it an antioxidant in itself, but it provides a foundation for the production of natural bodily antioxidants. Bone and joint support. MSM will break up calcium deposits in the tissues of the joints, which cause degeneration. Taking MSM will improve flexibility and range of motion while reducing pain and swelling. Incredible ability to detox the body naturally. MSM will significantly raise the permeability of your cell membranes. This allows wastes and nutrients to easily pass through. Instead of having waste build up in cells, it can now easily pass through to be excreted through urine. With all this toxic clearing, your body’s cells can resume normal function that you can physically feel. A massive increase in energy. Now that your cells can easily get rid of waste and absorb nutrients in its place, they will need much less force and energy to function properly. The leftover energy can now be focused on your immune system, muscles, and processes of the brain. You can physically feel the benefits of improved nutrition of your cells. As we age, our bodies become still, our cells become hard and rigid and our energy levels begin to decline. Certain nutritional supplements like MSM can serious help with the anti-aging process. MSM is needed for proper collagen production. Many people are deficient in MSM, which causes sagging skin, wrinkles, dry and cracked skin, and dull eyes. MSM binds with vitamin C to generate new and healthy tissues by forming fresh collagen. This will dramatically improve skin health. In addition to that, MSM is crucial for the production of new keratin for healthy hair. The new collagen and keratin that you can produce will make your hair soft, shiny and radiant. People deficient in MSM often have dry hair that falls out. You can notice the benefits of MSM in your hair after a few weeks of use. MSM crystals will heal the intestinal walls for healthier digestion. 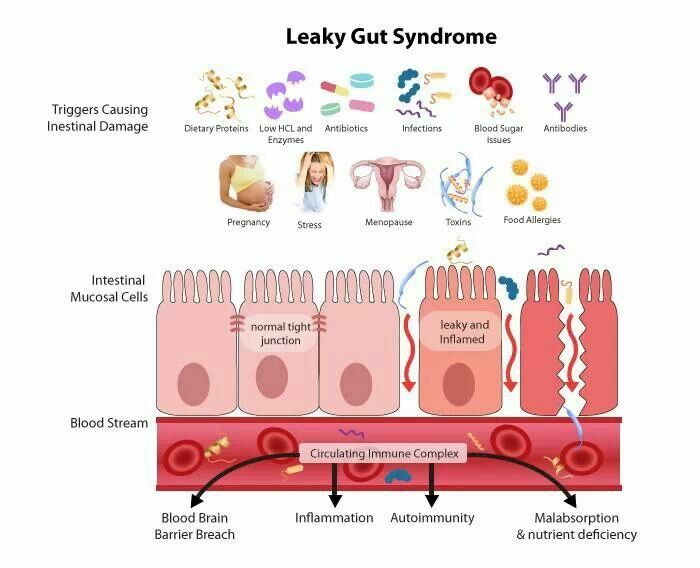 Everybody has varying severities of the condition known as “leaky gut syndrome” which means that the intestinal wall is physically cut, exposing your insides to your bloodstream. Unhealthy diet and lifestyle worsen this condition and it can cause allergies and disease. Organic MSM crystals will rapidly heal these holes that are allowing undigested food material and pathogens to seep into your bloodstream. After a few weeks of using MSM, you will notice a much better difference in your health because you are digesting food more properly. MSM crystals will treat the root causes of food allergies and intolerances. It is estimated that leaky gut syndrome is a possible cause for food intolerances and allergies. If your intestines are allowed to heal, you can deal with food naturally again. After even a few days of taking MSM, you should notice that your food sensitivities will improve dramatically. I used to be sensitive to raw fruits and vegetables, but MSM crystals have healed that condition. I am glad that I can easily obtain proper nutrition now. Seasonal allergy symptoms also improve when supplementing with MSM crystals. MSM is a molecule that can attach itself to the intestinal wall naturally. It attaches to the same spots that intestinal parasites attach themselves so that they can consume your food and then defecate inside of you. Parasitic infection is actually a very common problem in all areas of the planet. They are undetectable by usual medical checkups. MSM in combination with diatomaceous earth works wonders for parasites that you didn’t even know you had! The glands of the human body are very sensitive to a process called “calcification.” This phenomenon occurs when there are excess minerals and halides in your body. A halide is a group element form of a halogen(Fluorine, iodine, bromide, chlorine) that becomes charges and forms a compound that can become unstable in the body (fluoride). Some believe that fluoride is not added to our water supply to protect our teeth, but to calcify our pineal gland, the organ notable for its ability to produce serotonin, melatonin, and DMT, the dream chemical. If part of the pineal gland is calcified, it can be useless in your body, stopping the production of these chemicals in your brain. Some skeptics believe that fluoride is added to prison water supply to make the prisoners more docile, less angry or willing to question authority. This is plausible because the Nazis did the exact same thing to their prisoners in concentration camps. Now, the same thing is being done to the public. Whatever you believe belongs to you, but this may be mass medication that should get more media attention. After all, fluoride hasn’t been extensively tested for effectiveness. In fact, adding it to toothpaste has proven to cause fluorosis, a condition that degrades the enamel. Since I have discovered MSM crystals, my health has changed dramatically. If you read my previous posts, you’ll know that I am kind of skeptical about everything. But in this case, I can confidently say that this supplement really works for my allergies. In a way, I believe that MSM treats my allergies because when I accidentally consume a food I am intolerant to or if I am exposed to high amounts of pollen during the day, taking MSM crystals seems to make my symptoms subside completely. On top of that, I think MSM crystals do a great job at preventing allergy symptoms as well. After supplementing for almost a year now, my food intolerances have disappeared and my seasonal allergies are down to about 2 sneezes a day when the pollen is bad outside. I have tried numerous supplements and types of MSM, and I can say confidently that organic MSM crystals are the healthiest for your body. Powders and capsules did nothing for my body. 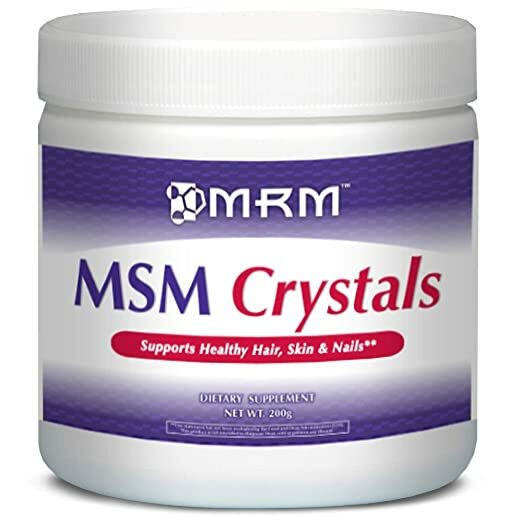 The best MSM supplement I have tried is MRM MSM crystals. Click the image for the cheapest price I could find. This amazon sale is better than anything I could find anywhere else. At first, try to take these MSM crystals slowly to see how your body reacts. If you feel better, increase the dose to as much as you’d like. There is no toxicity to this chemical because it is natural in your body and can simply be urinated out. Some recommend that you take high amounts of MSM for MSM pineal gland detox. This can be somewhere around 2,000 to 10,000 mg of MSM each day. For allergy symptoms, I’d take around 1,000 a day. With an MSM pineal gland detox, you may experience symptoms of a “herxheimer reaction” which involves the massive amounts of waste being excreted through your body too fast for it to handle. However, this is a good sign. It means that your body is healing to a state that it is naturally supposed to be at. You should lower your dose if it becomes too uncomfortable. I am always here for you, so if you have a question or something to add about my MSM pineal gland detox, please leave me a comment below! Try MSM with Vitamin D3 10,000IU, Colloidal Silver, Magnesium and vitamin C. Start off with 1/2 teaspoon of MSM twice a day. If you develop flu like symptoms back off to 1/4 teaspoon twice a day, if symptoms persist stay with it and tough it out. ITS WORKING!!!! Build up to two heaping teaspoons a day. Stay with this dosage for one month then FOR TWO WEEKS reduce to 1/2 teaspoon a day . Repeat 2 heaping teaspoons for one month and continue until body is cleansed. after that stay on maintenance dose of One Level Teaspoon a day. MSM will open the ports of the cells, the other ingredients can then enter the cells and kill parasites and bacteria that hide in the organs. The immune system will be incredibly boosted with this protocol. Drink raw goat milk, raw goat milk whey and raw goat milk Kiefer (I make my own). This will replace the good flora in the gut and get you well on your way to Optimum Health. Thanks for your write-up, however, on one of your pages or writeups, you recommend Happy Body and on this one you recommend MRM. Which one do you prefer? I’m confused! I think that both brands of MSM are excellent. Both of them work depending on your budget. One is obviously a smaller size and cheaper price than the other. Really good article! I was wondering how long before I get over the detox symptoms and start feeling good? It depends on how old you are and how good your lifestyle is. Personally, until I was 18, I was living that fake healthy kind of style. I would eat a salad as a meal frequently and think that was enough. Unfortunately, there are deficiencies that we all need to worry about and figure out for ourselves. For me, detox was heavy for a few days. After that, I felt much better but I was bloated for about 2 months. I attribute the bloating to the parasite die-off and detox symptoms due to MSM and other supplements. Could be quick or could be long depending on many factors. I wish more people would share their experiences with MSM so we could better gauge an average. THERE ARE TWO THINGS TO ADD HERE FOR YOUR RECOVERY CONCERNING ALZHEIMER’S DISEASE. INCLUDE 1/4 CUP OF COCONUT OIL IN YOUR DIET, SLOWLY INCREASE IT TO 1/2 CUP A DAY. THIS WILL RECONNECT THE BROKEN OR DISCONNECTED SYNAPSES IN YOUR BRAIN THAT CAUSES ALZHEIMER’S DISEASE. START INCLUDING RAW EGG YOLKS IN YOUR DIET. YOUR BRAIN IS MADE OF 90 PERCENT OF CHOLESTEROL. WITHOUT FEEDING YOUR BRAIN CHOLESTEROL YOUR BRAIN SIZE AND MEMORY WILL DECREASE. START WITH 3 RAW AND UNCOOKED EGG YOLKS. THE EGG WHITES ARE OPTIONAL TO START WITH. SLOWLY INCREASE THE EGG YOLKS TO 9 OR 12 RAW EGG YOLKS A DAY. IF YOU HAVE ERECTILE DYSFUNCTION – YOU WILL HAVE BETTER ERECTIONS IN THE MORNING. IF YOU COOK THE EGG WHITES – ONLY USE UNSALTED BUTTER. COOKING WITH COCONUT OIL, INSTEAD OF GMO OILS SUCH AS SOY, CANOLA AND COTTONSEED OIL WILL SPEED UP YOUR RECOVERY!!! 1. TAKE EDTA AT NIGHT – ONE TO SIX PILLS AT BEDTIME. 2. TAKE NATURAL IODINE AT NOON – 1 TO 5 DROPS IN ANY LIQUID OR IN MOUTH. IODINE WILL DISLODGE FLUORIDES FROM THE PINEAL GLAND, BUT WILL NOT REMOVE IT FROM YOUR BODY. EDTA AND CHLORELLA WILL. 3. TAKE I TO 3 PILLS OF 1000MG OF CHLORELLA ONE HOUR BEFORE FOODS. 4. TAKE FOOD BASED NUTRIENTS THAT CONTAIN MULTI-MINERALS ONE TO TWO HOURS AFTER MEALS. EDTA WILL CLEAN OUT ANY HARMFUL AND UNWANTED CALCIFICATION IN YOUR VEINS, ORGANS, AND BRAIN THAT CAN AND WILL CAUSE BLOCKAGES, HEART ATTACKS, STROKES, AND BLOCKING YOUR THIRD EYE. CHLORELLA WILL REMOVE ANY OTHER HEAVY METAL POISON AND CHEMICALS THAT EDTA HAS NOT REMOVED FROM YOUR BLOOD, ORGANS AND BRAIN. THE FOOD BASED NUTRIENTS ARE VITAL IN THIS METHOD BECAUSE EDTA CAN AND WILL REMOVE SOME MINERALS AND OTHER NUTRIENTS FROM YOUR BODY. FYI: HIGH BLOOD PRESSURE, HEART ATTACKS, STROKES, SEIZURES ETC., ONLY HAPPEN WITH CALCIFICATION OR CALCIUM DEPOSITS IN ALL AREAS OF YOUR BODY. ALSO REDUCED IQ, INSOMNIA, HORMONAL IMBALANCES, FATIGUE, DEPRESSION, BIPOLAR DISORDER, ALZHEIMER’S, SPIRITUAL LETHARGY AND DISCONNECTION AND MANY OTHER ILLNESSES. REMOVING THE HARMFUL CALCIUM DEPOSITS WILL LOWER YOUR HIGH BLOOD PRESSURE, AND STOP ANY FUTURE HEART ATTACKS AND STROKES. DO NOT RUSH, AS THIS WILL TAKE TIME TO CLEAN OUT ALL TOXINS, CHEMICALS AND POISONS. DEPENDING ON YOUR AGE, ILLNESSES AND DISABILITIES, YOU WILL SEE IMPROVEMENTS IN WEEKS OR MONTHS. WITH ME, IT WAS WHEN MY THIN VEINS WERE CLEANED OUT AND I SAW MY VEINS INCREASE IN SIZE. SHARE THIS WITH OTHERS AND FIRST RESEARCH THE WONDERS OF EDTA AND CHLORELLA. Thank you for screaming this great advice about pineal gland decalcification. I am in 3 day of taking MSM crystals. I have had flu like symptoms the past couple day. I upped my water in take and that helped. I have been able to breath through my nose and no asthma today so far. On my afternoon dose, today, I have been struggling with allergy symptoms. Sneezy runny nose. Is this part of the detox? Yep, unusual symptoms appear to be normal. This is exactly what happened to me at first. If the detox phase is too strong for you, perhaps you could take a little bit less MSM. Let me know what you think! MSM for detoxing your pineal gland sounds very interesting. Is it powerful enough to do that by itself? I figure the gland would just quickly just “recalcify” anyway. There are other methods to detoxing the glands as well. I have heard that natural vitamin C from citrus helps increase the effectiveness of MSM. I think that this is true from personal experience. If you keep up with a healthy lifestyle, it can’t be too hard to keep your glands healthy.